Recent legislation made significant changes to the tax laws affecting investors. Which strategies are likely to work best in the current tax and investment environment? Thomas J. Pauloski, National Managing Director of Wealth Strategies at Bernstein, will discuss challenges that investors currently face, review income tax minimization opportunities, provide perspectives on the newly added “qualified business income” deduction, examine charitable contribution strategies that are likely to maximize economic benefits to both charity and donor, and compare simple gifts to “leveraged” wealth transfer strategies. Tom will use case studies and sophisticated wealth forecasting software to highlight key issues. Thomas J. Pauloski is National Managing Director for Wealth Planning and Analysis, the research division of Bernstein Private Wealth Management’s Private Client Group. He works with private clients and their advisors on wealth transfer strategies, focusing on tax-efficient wealth management and asset allocation decisions. Previously, Tom was a partner at the Chicago law firm of Winston & Strawn LLP, where he concentrated his practice in estate, tax, and business planning. 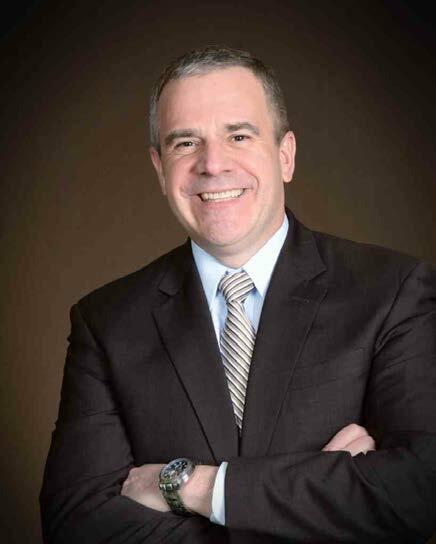 Tom also has been a member of the Chicago law firm of Levin & Schreder, Ltd., a Vice President in the Private Client Group of Zurich Life in Long Grove, Illinois, and a partner at the Chicago law firm of Schiff Hardin & Waite. Click here to read more.